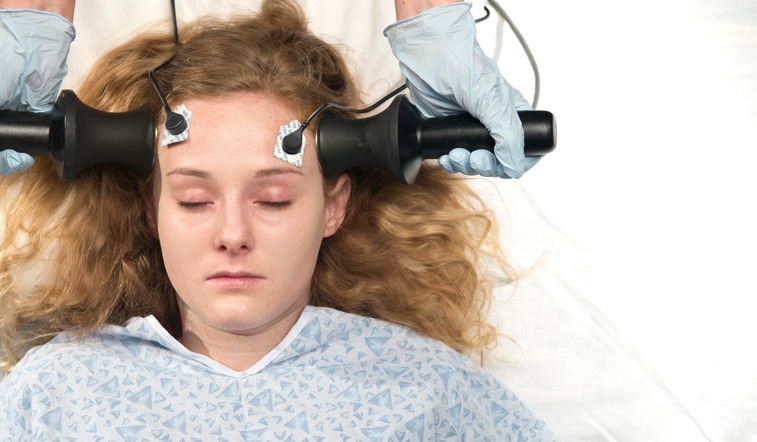 Electroconvulsive therapy got a public relations makeover, but is the procedure any less ugly? * The sampling of facts, anecdotes and personal tragedies presented here represent a much larger well of material that could easily comprise a large book. 1938-1940 German psychiatrist Lothar Kalinowsky brings ECT to France and England. Expelled from England, he lands in the United States and introduces ECT to America through Columbia University and the New York State Psychiatric Institute. 1940s In Nazi euthanasia facilities, hundreds are killed with electroshock machines. 1943-1950 Incarcerated in a series of psychiatric institutions, Frances Farmer receives ECT against her will. The gifted actress never regains her creative abilities and dies at 56. 1954-1962 Electroshock is used to torture prisoners of the French during the Algerian War. 1969 Hungarian refugee Victor Gyory is taken to a Pennsylvania institution, held in isolation, and forced to undergo electroshock. Psychiatrist Thomas Szasz determines that Gyory was diagnosed “schizophrenic” because he could not speak English. Through the efforts of members of the Church of Scientology and Dr. Szasz, Gyory is released. This leads to the founding of the Citizens Commission on Human Rights by the Church and Dr. Szasz. 1976 California passes a law banning ECT without the consent of the recipient and prohibiting its use on children under age 12. 1982 Voters in Berkeley, California, make administration of ECT a misdemeanor in the city, punishable by up to six months in jail and a $500 fine. 1993 Texas bans ECT on children under age 16 and requires that any death occurring within two weeks of ECT be reported to the state Department of Mental Health and Mental Retardation. 2005 The World Health Organization recommends that ECT never be used on children. March 2012 A study in Proceedings of the National Academy of Science reports a considerable “decrease in functional connectivity” between the prefrontal lobes of the brain and other parts of the brain following ECT. April 2013 The state of Connecticut passes a law to require informed consent before ECT is administered to anyone. September 2013 Following an investigation into ECT’s use in psychiatric facilities, the regional government of Sicily bans ECT throughout the island. October 2014 Legislation banning ECT on those under 14 passes the Parliament of Western Australia. The law imposes a $15,000 fine on anyone performing ECT on a child under 14. Supporters of electroconvulsive therapy, popularly known as electroshock, say it’s not what it used to be. Forget images of writhing, unwilling patients forcibly strapped to hospital beds while electrodes attached to skulls deliver blasts of electricity. Forget the pictures of mental patients rendered pliable and shuffling, even catatonic, by the procedure. Those impressions, say ECT’s supporters, represent an antiquated understanding of the “gold standard” treatment for deep and stubborn depression, the kind that’s resistant to psychotherapy and medication. According to advocates, ECT isn’t crude and dangerous like it was in its early days; today it’s painless, effective and the most common side effect is short-term memory loss. Nonsense! 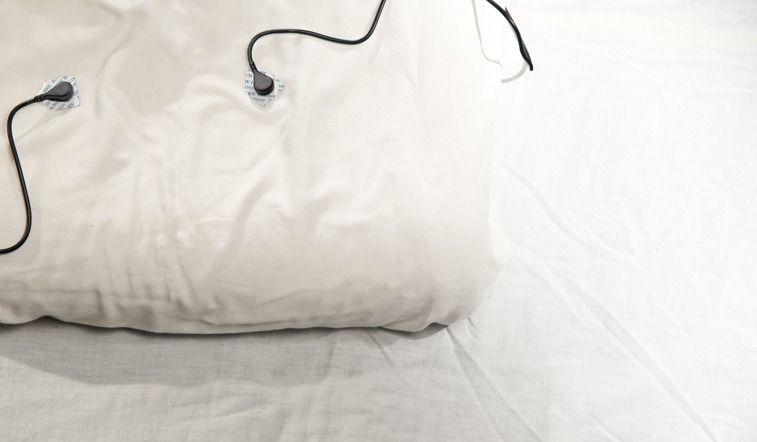 That’s the prognosis on ECT delivered by Fred Baughman, a neurologist who saw firsthand the effects of the “treatment” when he was a resident at Mount Sinai Hospital in New York City in the 1960s. Baughman allows that so-called refinements—such as pulsing instead of steady currents, and shocking only one lobe of the brain instead of both—may make the procedure slightly less injurious for any one “treatment,” but it also may increase the actual number of shocks administered. And Baughman says using electricity to shock the brain into a seizure—no matter how you do it—results in real and lasting harm. “You are creating a seizure which is prima facie evidence of brain damage,” he observes. Leonard Frank, an ECT survivor and a longtime opponent of the practice, says that doctors are deluding themselves if they believe medically induced seizures are any safer now than they ever were. The scant research on ECT, according to Frank, shows that the procedure causes more than short-term memory loss. Survivors often find that entire chapters of their lives have been erased. In explaining ECT to laymen, medical professionals use ambiguous phrases like “resetting the brain’s broken circuits.” And scientific literature attempting to describe how ECT works—while replete with jargon and technical terms—is really no less vague than brochures with titles like “Healthy Minds, Healthy Lives” aimed at prospective patients. 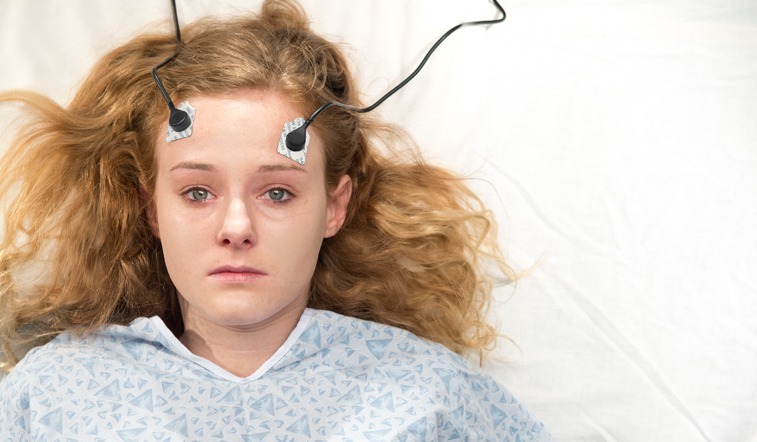 Putting aside debate about ECT’s effectiveness in treating severe depression, or any mental illness, even the treatment’s most ardent practitioners don’t claim to understand how it works. Moira Dolan, a medical doctor in Texas who has advocated against ECT, says that a careful and informed reading of the ECT medical literature reveals methodological flaws in many of the studies supporting ECT as a remedy for depression. For example, the studies usually rely on highly subjective questionnaires given to patients before and after ECT. Psychiatrists often fiddle with the doses of psychotropic medications during a course of ECT treatments, which can have a huge effect on how patients report on their moods and mental states. Other studies rely on feedback from doctors, a research method with obvious perils. “A lot of the literature depends on doctors evaluating their own work,” Dolan says. It’s surprising that there’s not better science out there on ECT considering the technique has been used since the late 1930s when it was invented in Mussolini’s Italy by psychiatrist Ugo Cerletti. His inspiration for ECT came in a slaughterhouse, where he saw cattle and pigs rendered docile by electricity before being butchered. Indeed, parallel to its use as a “therapy,” ECT has had a long and infamous career in the gulags and prisons of repressive regimes. For the first few decades of its use, electroshock was administered without anesthesia or muscle relaxants. Inflicting extreme pain, it was damaging to the entire body, causing convulsions so violent as to break bones and teeth. In this context, history provides many examples of electroshock used as an instrument of torture. The U.S. Central Intelligence Agency has a history in this area as well, training Moroccan security services in the early 1960s in the use of electroshock to torture prisoners during interrogations. Supporters of ECT are quick to distance its current application from its roots in Fascist Italy and its use in torture. The argument goes something like this: ECT gets a bad rap from movies like One Flew Over the Cuckoo’s Nest, which shows a mental patient shocked into compliance by a sadistic medical establishment. The people who receive ECT today, the line goes, are almost all willing participants in a therapy that is safe, painless and nearly side-effect free. While the modern procedure is generally carried out without busted teeth and the more grisly features of its early practice, the principle is still the same: Electric current blazes through the brain to provoke a seizure—the logic being that seizures occurring in the brain have some therapeutic benefit, somehow. That “brief convulsion” is the body’s physical reaction to the brain-damaging seizure induced by the electric current applied to the lobes. Austin, Texas, psychologist John Breeding doesn’t buy the idea of a kinder, gentler ECT. He believes electroconvulsive therapy has, in fact, more potential for harm than ever. Much higher voltages are employed in the modern procedure because muscle relaxants and anesthetics raise the seizure threshold, with more electricity required to produce a seizure. 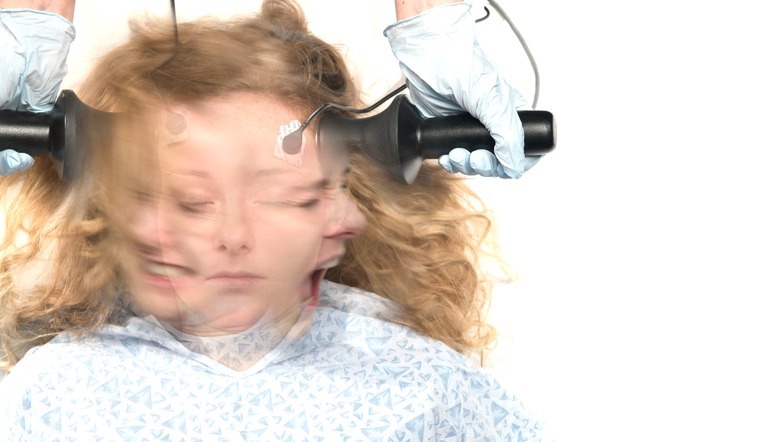 Breeding heads the Coalition for the Abolition of Electroshock in Texas, and is at the forefront of an ongoing battle to ban the procedure outright in that state. Efforts to enact tighter controls on the practice have been successful in Western Australia, Israel, Sicily and Connecticut. The brain damage caused by ECT results in varying degrees of memory loss and intellectual and cognitive impairment, says Dallas psychiatrist Colin Ross. Ross also cites “substantial evidence” that the death rates from natural causes rise following an ECT regimen, particularly in the older patient population. “We’re talking about serious complications like cardiovascular death from stroke and heart attack,” he says.